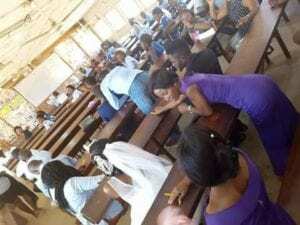 Last week, we were hit with photos of a lady who reportedly left her wedding reception, to rush down to school to write her exam in her wedding gown. The 300 level Economics student of Benue State University, Makurdi, identified as Dooshima Aondaver Moses in an interview with the Punch correspondent, why she took that decision. When did you start planning for your wedding? The whole thing started in 2016. That was when both of us, my husband and I decided to settle down as husband and wife. As a graduate of the same department, my husband understands everything very well, so we were working with the academic calendar. The wedding was supposed to come up in the first two weeks of the second semester of 300 level when there would not be much academic activities. Unfortunately, the university had an internal crisis which led to the closing down of the university for three months and when we resumed, we thought that the wedding would still hold after the examination but shortly after the local strike was called off then came the national ASUU strike. We still thought that the strike would drag until after our wedding but lo and behold, the strike was suspended, all these changed the academic calendar. But why didn’t you shift the wedding date? There was no way we could have called off the wedding because all arrangement had gone far and families and friends from far and near had been informed. 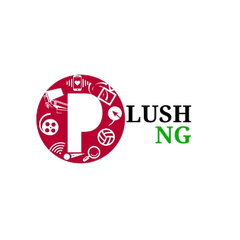 So it became extremely difficult to cancel it as many people from Lagos, Abuja and other places had been informed of the October 7 date. So calling off the wedding would have disrupted other programmes. At the time the national strike was called off, the time table for the exam was released. At the time the time table for your exams was released, what efforts did you make to convince your department to give concession to you? The time table was released immediately the national strike was called off. Although I informed the department but they told me there was nothing they could do. They said since the time table was already out, there was no time for me to lodge any official complaint. They said if that had happened before it came out, the department might have considered that. Again, the problem is that I was so busy making arrangement for my wedding. It was the same week that we did the traditional wedding, court marriage and church wedding. I decided to go ahead with the marriage and at the same time prepare for my examination. What was the course you did that day with your wedding gown on? International Economics and I did it well to the best of my knowledge. How did you cope preparing for your wedding and your examination at the same time? Actually, it was not easy for me. I tried to strike a balance by running around and at the same time reading for the examination, it was not easy at all but one thing that kept me going was the fact that I had made up my mind not to carry over any course because of my marriage. So, that decision was my soothing balm. At what point did you leave the wedding venue for the examination hall? We had concluded the church ceremony because the marriage was held at Good News Chapel, Benue State University. We were at the reception and shortly after we entered the venue, I had to excuse myself and the train and quietly sneak out, pretending to go to ease myself. Although a few of the bridal train are my course mates, so as I sneaked out, so also my course mates who were in the bridal train. We all rushed down to take the exam. What vehicle brought you to the exam hall? It was the same vehicle that I used for the wedding that brought me. The point is that my husband, close family and friends were aware of the plan; so right from the church service, we had to rush the programme, the pastor that officiated our marriage, Pastor Jude, was also aware of the arrangement, he tried to minimise the service until we got to the reception. A few of the officials at the reception were aware of the arrangement. For instance, the chairman of the reception while addressing the crowd, noted that everything had to be done moderately because the couple needed to meet up with other pressing matters. He did not mention it particularly. As the reception was in progress, my husband and I were watching ourselves and checking time intermittently so as not to be late to the exam hall because Economics department is very strict with examination guidelines. So knowing this, I was very conscious of time. You know that many of my course mates were also at the reception, so all of us were cautious of time; in fact, many left the reception before me. But it is assumed that weddings should be savoured to the fullest without any distraction; didn’t you see it that way? Well, I see marriage as a lifelong enjoyment, so I did not want to use one to jeopardise the other. It is true it was the day of celebration and many people were at the reception to celebrate me, but I had another important thing which was my examination. Your paper was fixed for what time? It was scheduled for 3pm to 6pm that Saturday, it was a three-unit course. At the time you left the reception, what was the reaction of people and did your husband also follow you? Well, few of my relations as I earlier said were aware of it, but I learnt there was tension when other guests did not see the bride again, according to what they told me. But gradually, the crowd thinned out; so there was no problem at all but my husband remained behind at the time I left together with a few of the bridal train who are my course mates. Was there distraction at the time you entered the examination hall? Since all of them were aware and most of them attended the wedding, there was no distraction at the time I entered the examination hall. You were not afraid that anything could have happened as you left your husband at the reception? Nothing could have happened because it was our plan not to rob Paul to pay Peter. A pastor named Isaac was the one who drove the car that day; four of my train were in the same car that brought me, so all of us walked into the examination hall including the pastor. Was there no time for you to change your wedding gown to normal dress at the time you came to the campus? Actually, when I came in, I tried to manage the time. Ordinarily, the department has a dress code while coming to class but having eaten into the time, there was no time for me to go and change my dress, after all they were all aware of the wedding ceremony. I am sure that was the privilege they gave me to take the exam. Since you said that you were in the examination hall throughout the duration, it means you could not go back to the reception? My plan initially was that I would do the paper and rush back to the reception. Unfortunately, by the time I finished, the whole thing had ended. When I called my husband, he said he was already in the hotel sleeping. Now that the day had come and gone with the drama created by your action, how will you describe the day? October 7, 2017 will remain evergreen in my life, a blessed day because it is every woman’s dream to get married. I can not forget the day because the wedding coincided with my examination which I was able to take. Your examination is still on. As a new couple, you ought to be in honeymoon now. (Cuts in) To me, I see every day in marriage to be honeymoon, not just to set a few days off for honeymoon. I think what honeymoon means is for your spouse to pet you, kiss you, hug you, take you out and all that but to me, life is in stages. So whatever you have to do, it is better for one to do it well. So for me, honeymoon is a lifetime experience. Do you have advice for those planning similar thing in future? My advice to young ladies is to be determined because the way to success is not easy. One needs determination, discipline and focus, because for me, forgoing reception for examination is discipline. I was determined not to fail as any other person could have said there is no big deal, I can carry over the course, but for me, I didn’t want to carry over the course because I have no reason to. Despite the fact that it was a celebration day, I needed to do what was the most priority on my list which was my examination. We should not take things for granted, when it is time to do something, it is better to do it. Your children are practising Satanism and they are not even aware!! !